On the morning of the match, Matthew Dawdy’s breakfast with his girlfriend and family was just an appetizer to a life-changing moment. When noon arrived, Mr. Dawdy learned that he had secured a highly competitive orthopaedic surgery residency at Northern Ontario School of Medicine (NOSM)—his top-choice program—through the Canadian Residency Matching Service (CaRMS). Mr. Dawdy flourished during his basic science years and gained insight on the path ahead from David Santone, MD SGU ’08, an orthopaedic surgeon in Markham, Ontario who completed his residency at the University of Toronto. 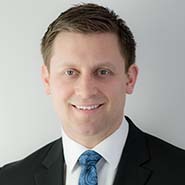 Mr. Dawdy confirmed his interest during orthopaedic rotations in his first clinical year and bolstered his resume with two observerships and three orthopaedic elective rotations in Canada. That he interviewed with all four schools with orthopaedic surgery residency programs—one of only two students to do so by his estimation—gave him confidence leading up to the match. He will go through NOSM’s surgical boot camp in July before beginning residency the following month. Although he traveled a great distance to earn his education, he’s looking forward to diving in headfirst this summer.